Close to two years ago, I read excerpts of the book – Pedagogy of the Oppressed by Paulo Freire, for a class that I was taking. Till this day, some of the main points of those pages that I read are still stuck with me and actually help me in understanding the world we live in, to some extent. One of those main points was that when people are being oppressed, they get so used to this way of living that they are reluctant to free themselves. They even begin to aspire to be like the oppressor.I may have just perplexed my readers but I will explain. Let us apply it to real-life occurrences. I was born and raised in Nigeria, a country that went through the torment of colonization. We gained our independence on October 1st, 1960. Much was stolen from us but thankfully, our ancestors also preserved a great deal, especially the richness of our diverse Nigerian cultures. Although it has been several years since gaining independence, I do see that in Nigeria, we unconsciously and consistently aspire to be in the like of those who oppressed our people. Nigeria was colonized by the British and given the time that it was, you just like me can probably imagine it was White men and women. And it actually was. In Nigeria today, some aspire to have the skin colour of Caucasians. Skin bleaching is popular in our cities (not everyone does this however), the darker skinned Africans are made to feel inferior because the Africans/Blacks of lighter skin around you are hailed like royalty and you are not. We even judge our development and intelligence based on Western standards. For example, if you cannot speak English in Nigeria, you are an illiterate (I used to think this way too) – seems like we have forgotten that before and even after the coming of Whites to our land, our ancestors made their own equipment, could tell what time it was without a clock, could speak their native tongue with envy-inducing fluency. Just to mention a few. So, how dare we reduce ours and others’ intellect to ‘nil’ or ‘smart’ or ‘genius’ or ‘literate’ based on whether or not they can speak English? I feel sorry that I used to look at intellect that way. But I am on a journey of continuous enlightenment and decolonizing my mind. These kinds of issues do not just persist in Nigeria. I have noticed similar attitudes in Blacks from different nations and continents. One might wonder why many of us of African-descent unconsciously strive to have similarities with the oppressors of our ancestors. Maybe we feel that, when we have the features of those who oppressed us and our ancestors, we gain power – because the oppressors dominated. However, I know not any power greater than that which comes from the love of oneself. This kind of power stays unshaken even in the midst of a world of suppression of your kind. 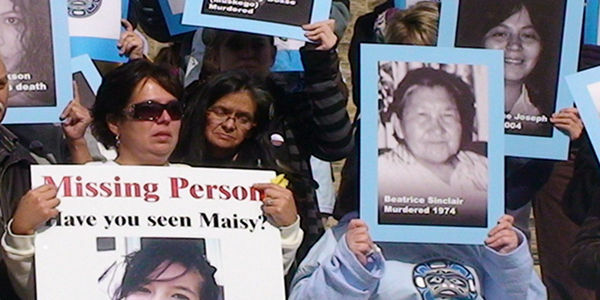 A year ago, the Royal Canadian Mounted Police (RCMP) released a report which states that between 1980 and 2012, there had been 1181 missing and murdered Aboriginal women. According to the report, a striking majority (1017) of the women in that category were murdered. The numbers continue to rise. Last year, 15 year old Tina Fontaine’s body was found in the Red River. The body had been wrapped in a plastic bag before it was dumped. In November of that same year (2014), Rinelle Harper was sexually assaulted, beaten and dumped in the Assiniboine River. Harper survived. The indignity in the way Indigenous women in Canada are treated did not start just recently. Colonization was the genesis of these atrocities. Indigenous people were the first on Canadian soil but they began to face marginalization, violence and colonization when European settlers started to emerge. Indigenous women were seen to be of little or no worth, they were sexually assaulted and used for labour. Patriachy was infused into the Indigenous culture as a result of the Christian, European homogenization of the society that was taking place at that time of colonization in Canada. There was the establishment of the residential school system by the government in the 19th century, in an attempt to cleanse Aboriginal children of their culture and enable them assimilate into the mainstream culture. Children were forcefully taken to residential schools where they were not allowed to speak their language and lots of sexual, physical and emotional abuse went on in these schools. The residential school system ended in 1996 – not a long time ago. That little summary of the impacts that colonization in Canada has had on Indigenous peoples gives an insight to why Indigenous women are treated with so much disrespect and inhumanity. There is a history. 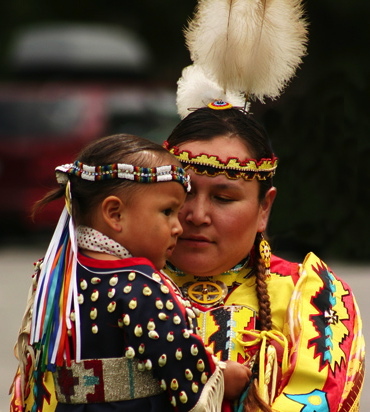 A history that deemed Indigenous peoples as uncivilized, a history that dumped patriarchy into their culture (this may also explain why many Indigenous women experience spousal abuse), a history that isolated children from their families into an educational system of abuse – a psychological cycle that may be passed to generations. Indigenous women till this day are at the receiving end of all these so-called ‘past’ misconceptions and mistreatment of Indigenous persons. I have been in the middle on conversations on Aboriginal issues where someone will chip in and state sympathetically that their culture is the main issue. So you see, the effects of colonization can stick like hard glue. The culture of Indigenous people is not the problem and it is unfair to say so. Rather, the problem is that Natives have long been forced to assimilate into the dominant culture and their commitment to the culture of their ancestors has resulted in dire consequences such as the susceptibility of the women to sexual assault and murder. The eye-opening RCMP report which was mentioned earlier, focused on the year 1980 through to 2012. Before 1980, such issues were already taking place. In 1971, Helen Betty Osborne was sexually assaulted and murdered for refusing to follow a group of men to party. In 2014, there were the cases of Fontaine and Harper. So Canada, how many more Stolen Sisters before we get our act together? How many more Stolen Sisters before the government of the day takes action to reduce the proneness of Indigenous women to violence? Oh Colonization. You had both benefits and problems. The latter cannot be exempted. Being an African in Canada and an African who aims to break down the stereotypes that non-Africans have of my people, I very often fill-in the footprints of colonization. I hardly hesitate to say “Our (Nigeria’s) official language is English”, when a surprised acquaintance or friend tells me that my English is so good. I very often feel the need to have no non-North-American accent in the land of the Westerners. I very often feel the need to speak like the white man. Oh, colonization. I am not the only descendant of a former colony who tends to stick closely to the culture of the colonizers. If you have ever visited Canada, you will know that the culture of its colonizers – the British, still lives on here. It is purposely preserved by the federal government. I do admire it in some cases. I love the historical buildings, I enjoy the designs in-and-out of the pubs. However, there are some negative and worrisome colonial traits that still pervade in my dear Canada. These are with regard to the treatment of First Nations people in Canada. My Questions For You – How do you think prejudice in society can be curbed? – Do you have other examples of negative effects of colonization that still exist in former colonies?